Below you will find some links to various resources to help you to get started to think about how to craft a successful tech project in your classroom. 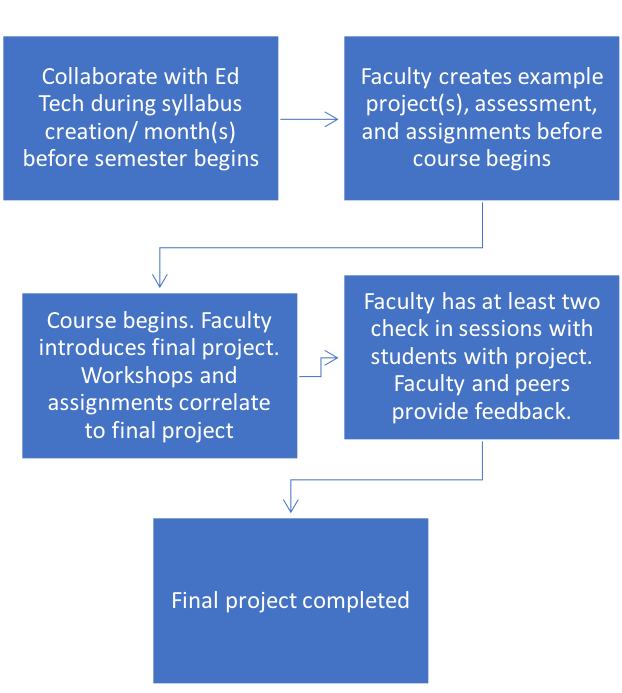 If you are interested in pursuing a tech project, please reach out to a staff member of Educational Technology so we can assist you in the implementation of the project or assignment. Keep it simple (ie. one major project vs two). Don’t try to do too much.